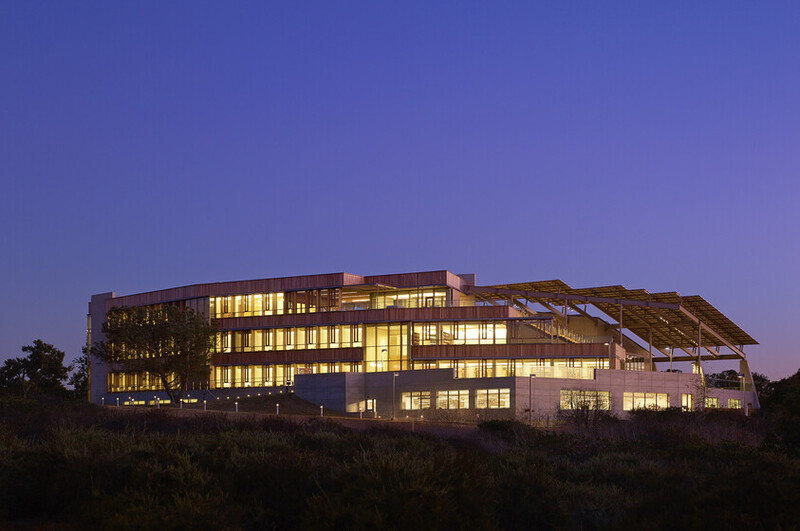 Aggressively pursuing carbon neutrality through innovative environmental design, the J. Craig Venter Institute aimed for net-zero site electricity consumption and zero-discharge for all wastewater. It is be the first lab building to achieve this exceptionally high level of performance. During early design, Atelier Ten guided the design team on various sustainable strategies that expand upon best practice standards set by the EPA’s Labs 21 program, and the USGBC’s LEED rating system. Some of the strategies reviewed included radiant cooling, evaporative cooling of ventilation air, and displacement ventilation to reduce loads. A photovoltaic canopy over the entire building will provide 100% on-site renewable power generation. Water demand will be reduced through high efficiency fixtures, on-site rainwater collection, use of native and adapted vegetation, and recycling process water for non-potable uses within the building. 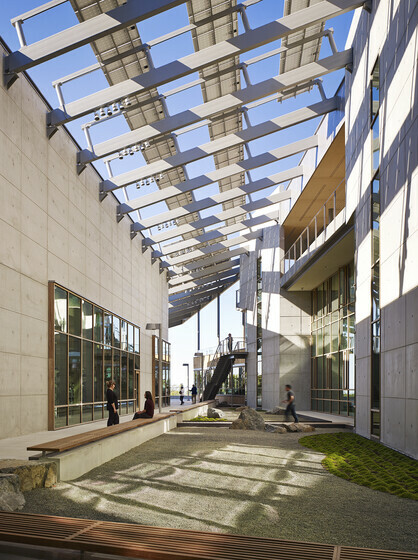 By providing early design testing of proposed strategies for efficiency, performance, and maintainability, Atelier Ten helped the design team shape the building to achieve its goals.